With the approach of summer, every woman carefully considered your beach outfit. Swimsuit, hat, sunglasses... What else? 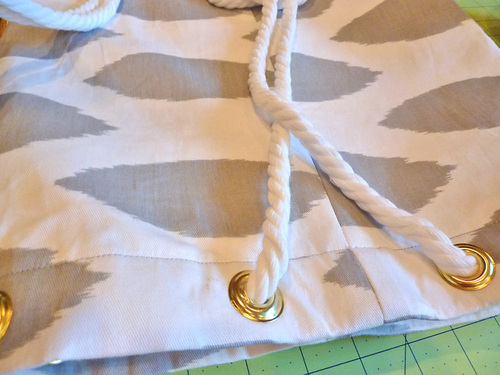 A beach bag! 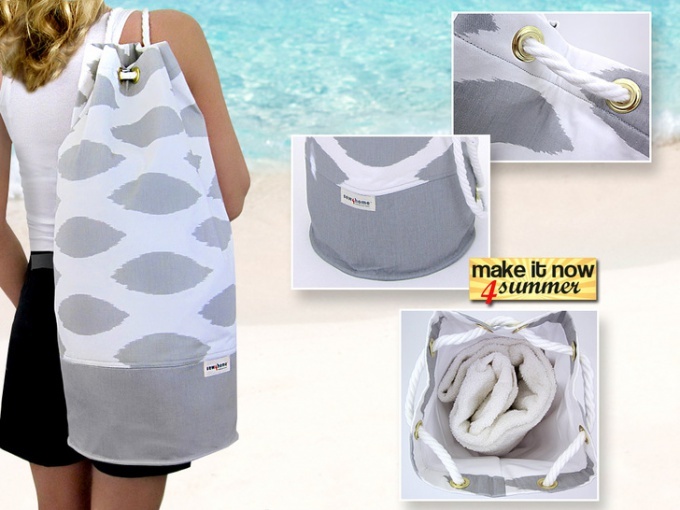 You can make yourself a beach bag-a backpack that will fit a towel and all the necessary beach stuff. Cut out the fabric rectangle with a size of 53 to 78 cm and from a fabric of a different color - strip size 15 to 78 cm Stitch them together face inside. Then attracive on the front side. Outlive. Fold the fabric in half face inside and stitch the side. Cut out a fabric circle with a diameter of 27 see Below exactly to sew the bottom to the walls of the backpack, we need to identify connections. 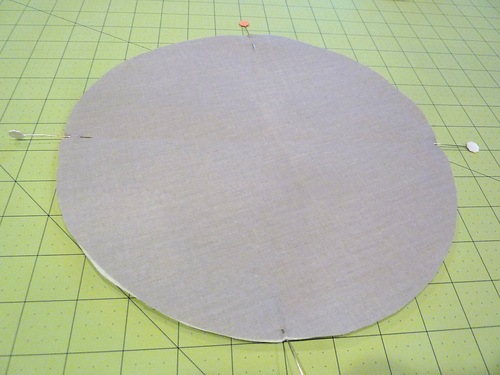 Fold the circle in half twice to make a quarter, and lightly iron the place bends to left folds. You also need to note the bends and on the walls of the backpack. Connect the pins designated bend the bottom and sides face each other. 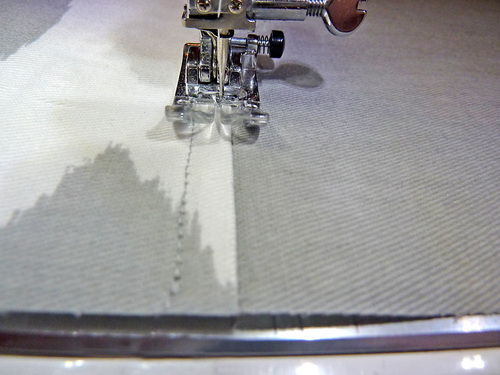 Then connect the remaining pins and stitched on the machine. Wrenched the bag and attracive the bottom in a circle. 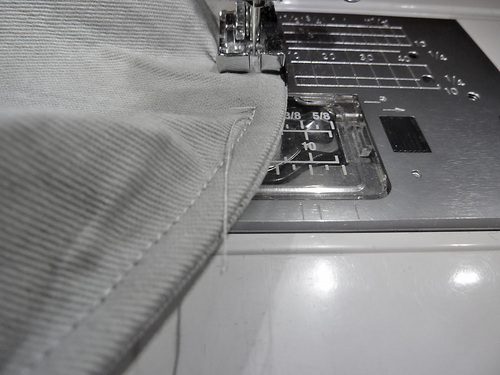 Folded top edge first 1 cm and then at 5 and fasten the hem with pins. Cut out lining fabric rectangle with size of 58 to 78 cm and a circle with a diameter of 27 see the Sewn rectangle and sew the bottom. Now you need to sew the lining to the backpack in place of ACC, previously fixed with pins. 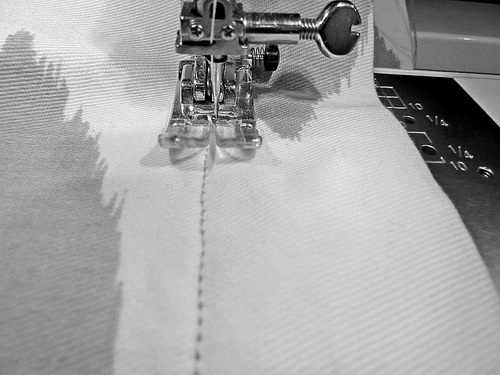 Tack and then stitch on the machine. Set 8 eyelets at equal distance from each other. Threading hole decorative cord. The ends of the cord tied with knots.